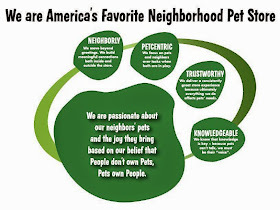 I recently came home from my friendly Pet Supplies Plus store located in St. Clairsville, Ohio. 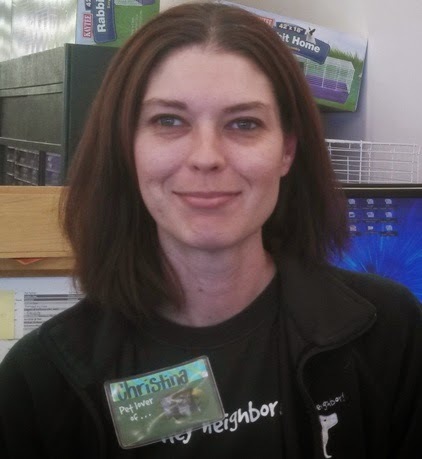 Although ALL of your employees at the store are friendly, Christine just stands out above the rest. She works in your fish department but has helped me with supplies for my furry friend as well. Always a million dollar smile, I have yet to receive from her any "I'm too busy" attitude. A few months ago I had new checks printed from my bank, and due to an error (the bank's fault) my purchase would not go through. At the time the store was full of customers. How embarrassed I became! Mortified in front of your staff and customers, and there she was from out of no where sticking up for me saying that I was a GREAT customer and that this had to be an error from the bank. Now that is CUSTOMER SERVICE!!! I wish she was duplicated and put in other stores I shop at. Just thought I would let you folks know first hand you have a remarkable, irreplaceable employee in your St.Clairsville store.